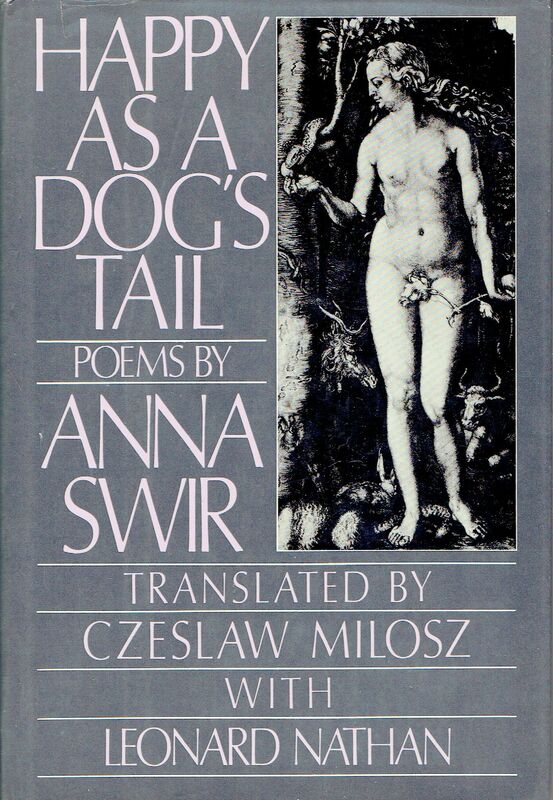 Anna Swir (1909-1984) is a Polish poet sadly little known in America, despite the efforts of her great admirer and associate, the Nobel-winning Czesław Miłosz, on her behalf. This out-of-print selection of her love poems was translated by Miłosz with the help of Leonard Nathan and published the year after her death. They teamed up again for an expanded collection called Talking to My Body (1996). The latter is somewhat easier to find and contains much of the same material, so unless you find Happy as a Dog’s Tail in a used bookshop, like I did, you’d probably be better off choosing that one. Happy as a Dog’s Tail is relentlessly monochromatic in selection. 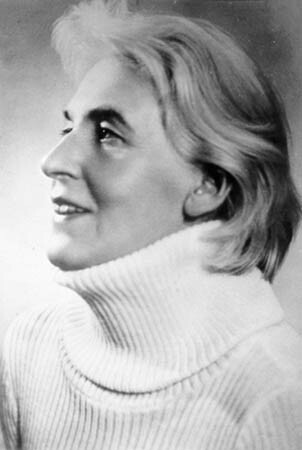 In the first half of her career, Swir did a series of war poems based on her experience in the Warsaw resistance and as a military nurse. Later in life she turned her attention solely to love poems – though they could more accurately be called hate poems – and those are what Miłosz and Nathan chose for the exclusive subject of this collection. At first glance it looks like a mistake but rereading reveals a method to the myopia. Swir in translation is forthright and easy to handle but hardly “confessional.” She is invested in a woman’s point of view but her voice is full of irony and detachment. Comparisons could be drawn between her work and Anne Sexton’s in Love Poems and Transformations – both women speak in a tone arch, energetic, mocking and cold. Unlike Sexton, Swir keeps this coldness pressed sharply close to the point at all times. And though their stylistic approaches are very different, there is also an unexpected similarity between Swir’s poetry and Djuna Barnes’ novel Nightwood. Her obsession is with alienation. Flesh and spirit are in an unrequested marriage, forcibly bound even as the body degrades (nowhere better summed up than in the poem ‘Large Intestine’). The struggle for spiritual supremacy is painted through the abandonment of lovers and the stern, bitter triumph of isolation. It is her especial focus in the middle portion of the book, taken up with the three ‘Love’ cycles (Felicia’s, Antonia’s and Stephanie’s). These women depart relationships to achieve liberation and each cycle concludes with them living alone, their pain unshared; they choose to return to a virginal solitude that for all of its sorrow and loneliness is theirs alone. Longing / … / fashions the soul / as work / fashions the belly. God is not an image in Swir’s work, and yet her poems carry the weight of Monasticism, of isolating and offering oneself up to the scourge, to be cauterised and purified. the bone to the marrow. I want to be cleaner than the bone. Swir’s poems are ferocious and uncompromising; her vision potently, almost murderously, feminine. She more than repays a weekend spent pouring over her writings. But her obscurity in this country is terrible, so American feminism didn’t do her much good. Rather, lovers of poetry both male and female should seek her out as too unique to be missed. See if you can find this or Talking to My Body and help propel Anna Swir to the resuscitation she deserves.